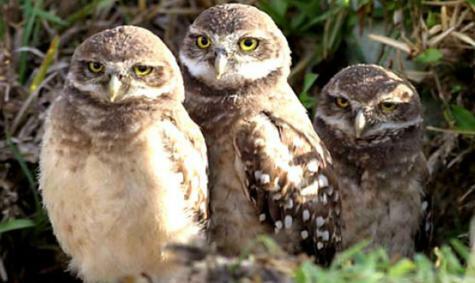 Burrowing Owls are indigenous to Ontario. Developed as the “Model Irrigation Colony,” Ontario has a rich agricultural heritage. The northern portion of the City was farmed with grapes, citrus, olives and other fruit tree crops. The southern portion of the City, the New Model Colony (NMC), has been used predominantly for dairy farms for over half a century. Other types of agricultural uses include cultivated crops, fallow fields and plant nurseries. Until the mid-1990s, the NMC was part of the San Bernardino County Dairy Preserve. Some of the City’s dairy preserve properties are still under Williamson Act contracts. The City of Ontario adopted a right to farm ordinance which recognizes the right of agricultural operations to continue. However, increased environmental regulations are causing existing dairies to relocate out of the region, resulting in a continued decline in the long term viability of agricultural operations in the NMC. Rare and/or endangered species that have the potential to occur in Ontario include Delhi Sands Flower Loving Fly and San Bernardino Kangaroo Rat. Habitat for these species is of poor quality and/or is limited to isolated pockets. As the City further develops, there may be opportunities to integrate suitable habitat for sensitive species into new developments and/or participate in regional efforts in conservation of high quality habitat, thereby expanding and creating new habitat corridors. There are currently no permitted mining operations in the City. According to the Department of Conservation, significant mineral resources within Ontario are limited to construction aggregate. These areas have been developed with urban uses and are not suitable for mineral resource extraction. Protected high value habitat and farming and mineral resource extraction activities that are compatible with adjacent development. Habitat Conservation Areas. We support the protection of biological resources through the establishment, restoration and conservation of high quality habitat areas. Entitlement and Permitting Process. We comply with state and federal regulations regarding protected species. Right to Farm. We support the right of existing farms to continue their operations within the New Model Colony. Transition of Farms. We protect both existing farms and sensitive uses around them as agricultural areas transition to urban uses. Mining Operations. We prohibit future mining operations where the resource extraction activities are incompatible with existing or proposed adjacent land uses.